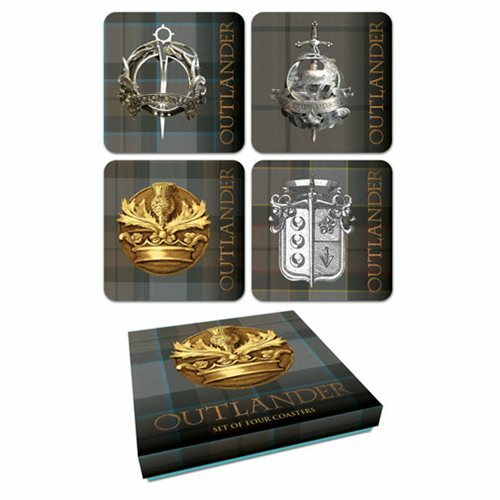 Host your next Outlander viewing party in style with the Outlander Tartan Coaster Set! This set of four coasters feature the tartans of the various clans in full-color. Measuring 4-inches x 4-inches, the set comes packaged in a full-color box. Ages 13 and up.